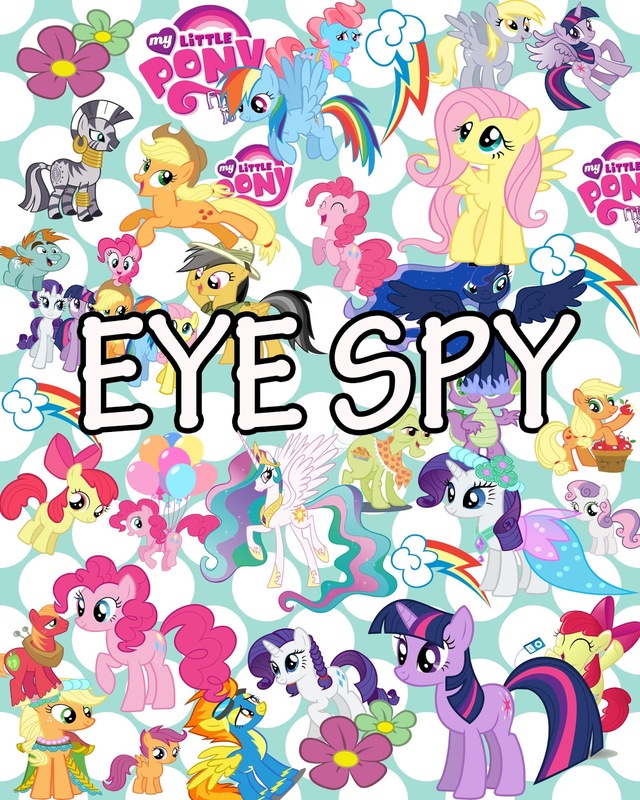 Here's another addition to our EYE SPY BOOK! This one is themed around one of our favorites, My Little Pony. Click on the image (SAVE AS...) Print on 8x10 cardstock or photo paper for best results. 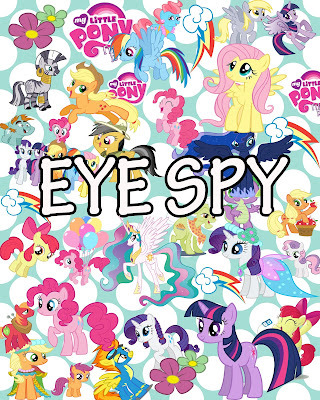 You can laminate them after printing for a longer lasting EYE SPY BOOK.